In 2002 Karen Long Eacrett embarked on a fundraising mission in an effort to assist in the refurbishment of the school building. She began by reviewing old roll books as she had planned to contact past pupils of the school for support. It became clear to her very early on that the historical value of the information in the roll books was immense and she felt that it would be a shame not to record it. 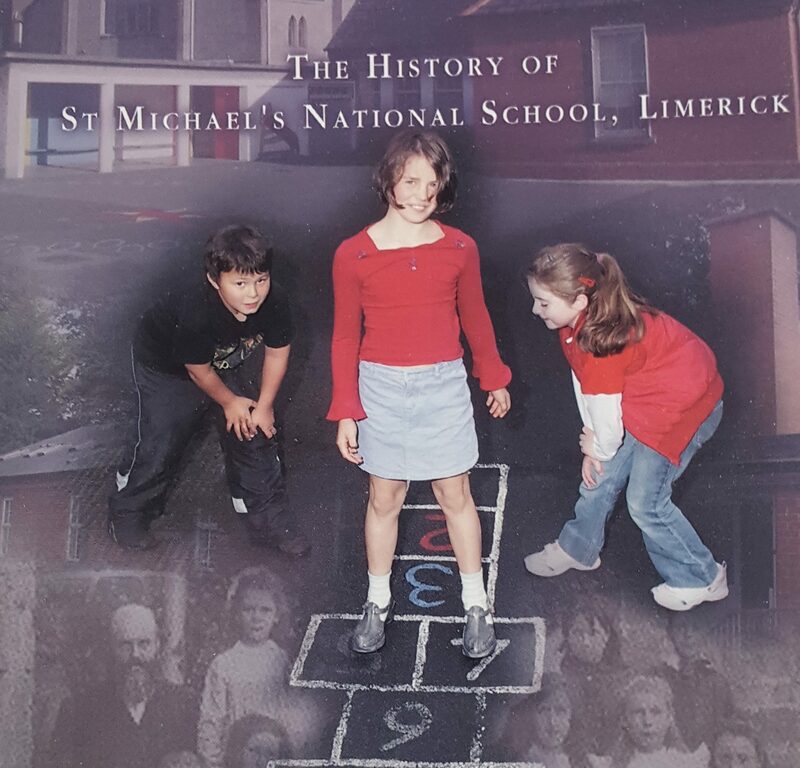 A committee was formed with Karen taking on the role as Chairperson and they set about to develop a the living history of Saint Michael’s N.S. One committee member in particular, Barbara Bingham author of the book, did trojan work. She complied the history using primary source material , published works and a lot of anecdotal content. The printing of the book was generously sponsored by Shaws Brand and Dairygold Consumer Foods. The book is now available to buy from the school directly. 100% of the profits will go to the school which will be used to fund field trips for various classes throughout the school. Please contact the school office if you wish to purchase a copy.